“Why change a Picasso”, – Clint Eastwood about Will Harper’s film “The making of “Bird” in response to a question if the film needed any revisions. During the course of his production career Will Harper conceptualized, produced and directed broadcast programs for Warner Bros., Disney, Paramount, ABC, CBS, ESPN, TBS, Intuitive Entertainment, Leo Burnett and Ogilvy. He was also the director for the ABC’s Good Morning America (GMA) morning show. 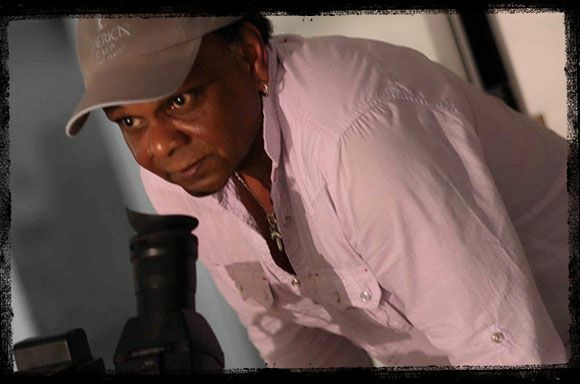 Possessing a unique and diverse repertoire of skills collected from his experience from major studios to independent projects all over the world Will is one executive whose extensive production background bestows a powerful contribution upon each and every project. Will’s business acumen, market sensibilities, extensive knowledge that includes every aspect of production from inception to completion and his ability to combine effective storytelling with visually stimulating images, have established him as one of the most comprehensive producers/directors in show business. He received an Emmy award for creating original children’s programming for CBS. In 2004 Will Harper founded The GlobalTouch Group, Inc (today known as GTG)- a hybrid branding and content development agency. GTG’s portfolio includes television shows on major networks and branding campaigns that have tremendously increased market share for businesses worldwide. In nationwide search Will was selected by Harpo, Inc to become the lead field director for the Oprah Daytime Show. He produced a marketing campaign for Universal Studio/MCA in Hollywood that was instrumental in acquisition of Universal Studios by Seagram. He directed Lenny Kravitz’s first documentary for VH-1’s Behind The Music. It was one of BTM’s longest running shows and increased Lenny Kravitz’s market share by 20%. Will directed and co-produced Sensitive-The Untold Story – a feature documentary based on the findings of the bestselling author-psychologist Dr. Elaine Aron (The Highly Sensitive Person), featuring 7-time Grammy winner Alanis Morissette. He also directed the latest ad campaign for Uniworld Boutique River Cruises. In addition to traditional film campaign Harper created all-immersive 360 virtual reality videos for Uniworld, pioneering virtual reality video presentations in the travel business. Will was the executive producer and director for the 13-part environmental broadcast series entitled GDiaries for ABS-CBN Network– the largest multi-media conglomerate in Southeast Asia with international reach. The show has garnered four awards to date. In 2018 he was appointed vice dean at ABSCBN University in Manila, Philippines, where he is designing curriculum for the film department and creating practical studio and field proficiencies for network employees to enhance their current production status.